The conference aims to address topics related to modelling the climate system and the interface with the land surface processes and hydrological impacts of climate change. It will also focus on recent developments of observation systems and data analysis, including experiences with big data and machine learning. A special focus is given to cold climates, including the boreal, alpine and arctic zone. 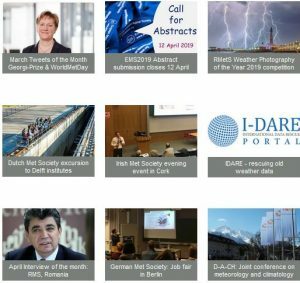 The conference is organized in three topical sessions: (1) “Water Cycle extremes”, (2) “From modelling to decisions”, and (3) ”Learning from environmental data: from field observations to machine learning”. The call for abstracts and registration is now open at the conference website. The deadline for submitting abstracts is 15 April 2019.